Posted on January 8, 2018 at 9:00 am. Whenever you are looking to go and buy a house, it is a very common thing that you are not able to figure out the potential plumbing problems that are there. That is especially due to the fact that many people cannot identify all of the underlying hidden plumbing issues behind the walls. It is always a good practice to look around the house at all the problems that can persist when you purchase it but plumbing problems should not be ignored. Call in a local plumber in Cleveland, GA when you are looking at a potential house to buy so you can get help identifying these plumbing problems beforehand so that you do not end up regretting such a big investment. Water heating systems are by no means something which is cheap. They are not easy to repair first off and definitely not easy to replace. Before you go about looking for our pen to sign the contract which will grant you ownership of a house, you should call in a local plumber in Cleveland, GA to look at the water heating system. A water heating system can last for about 10 years given that it has been running properly for that time and has seen regular maintenance. Calling in a local plumber in Cleveland, GA to look at the water heating system will help you to determine if the water heating system in your potential new residence is fit and in good running condition for a long period of time. It is also important where the water heating system has been installed. The reason behind checking where it has been installed is because of the dampness. A professional can check out the model number and brand to tell you how old the water heating system is but the placement of the water heating system can have an impact on other factors which lead to damage earlier than 10 years. Dampness can cause a significant amount of corrosion in the bottom of the water heating system which cane mean it will start to leak much faster than if it was not installed in a place that has humid conditions most of the time. Toilets are something which come into use plenty of times during the course of the dy. 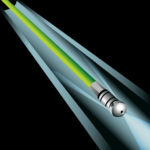 That means they are constantly subjected to damage which comes with usage over a period of time. If a toilet is not being drained properly, it can lead to long standing problems due to leaks. Toilets tend to start leaking from the bottom since water is going to cause damage to the sealant over time. It is imperative that the toilets in your new house should be in top working condition before you put pen and paper. If you call in a local plumber in Cleveland, GA, the professional will be able to better determine if the toilet is in good working condition and will check to see if there is any discoloration. The discoloration might be something a layman can overlook but it is an indicator of temporary fixes done in order to make it look like its in the best condition at that time. A leaking toilet might not seem like a big problem to you immediately but it can have far reaching consequences. It can cause mold to form through you flooring over a period of time and in order to avoid the damage that it can cause, there should be a proper job of maintenance done by the previous homeowner by a professional and have one periodically replace the damaged parts. Another important thing to consider when you are looking for problems in the plumbing system in potential houses is the type of sewerage system installed. It is common knowledge that the sewerage system of any house should have an exit on the lowest possible point in the house so that it runs into the city’s main sewerage system without a hitch. If your home has a septic tank, then the lowest point should allow it to run freely into the septic tank. If the house you are looking to buy does indeed have a septic tank for sewerage water, a local plumber in Cleveland, GA can take a look at the sewerage pipes leading up to the tank and inspect the tank itself for any smells and leakages which you yourself might overlook. 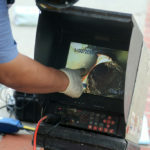 Sewage lines do have a tendency to get clogged over time, a professional will be able to conduct video inspections in order to get a better look inside and determine the clogging situation which the naked eye can never see, no matter how trained. Clogged up and deteriorating sewage lines can cause the damage to sewage lines to accelerate and can lead to the sewage to back up into your house. Nobody wants that. Clogged drains are some of the most common occurrences as far as plumbing problems are concerned. They can be caused by a number of reasons and if overlooked, can become a serious issue. You can check for logged drains yourself. It is quite easy – just turn on the faucet at full flow and check to see after two or three minutes if the water drains quickly without becoming stagnant in the sink. Calling in a local plumber in Cleveland, GA will help you see if there are any significant problems which can build up over time. They will also look for the details you might over look. Previous homeowners also tend to cover up old and outdated piping with paint. The plumber will be able to help you figure out the truth of the matter. A home is one of the biggest investments you will make in your life. It is best to take into account every factor which goes into making a good home. 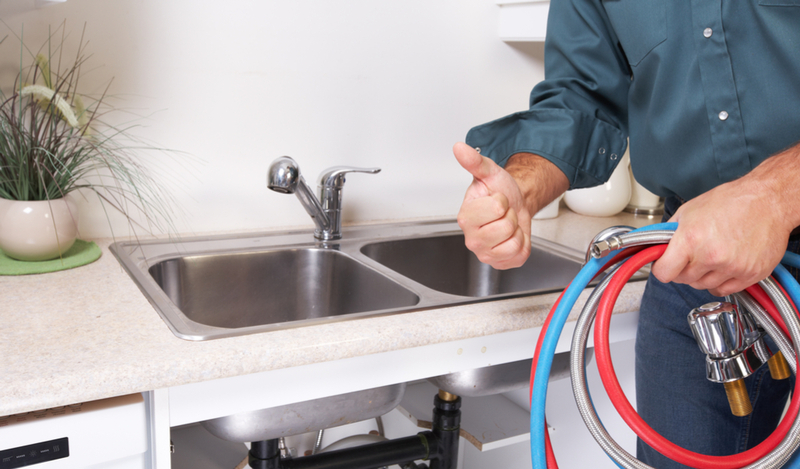 The plumbing system is an important asset and should never be looked at passively. Call in a Metro Plumbing, Heating & Air to inspect the house you plan to buy for potential plumbing problems so you can really call it a home sweet home.